A few weeks ago we asked the Nameberry moms and dads to tell us their best baby names rules. What followed were hundreds of suggestions, from the idiosyncratically individual (all middle names must be Celtic and begin with R) to rules so universal they might apply to everyone. 1. No yooneek spellings. Name your son (or daughter) Peyton or even Payton. But not Peighton, Patyn, or Paitynne. 2. No made-up names. Translating a meaningful place or word into a name is all right, but don't manufacture a name from whole cloth. Jaunel and Calton, we're looking at you. 3. A first name should ideally embody some kind of meaning. That might be family or ethnic significance, literal meaning, or even that you've loved it since you were 7. A name with meaning is going to have more staying power than one you choose simply because it's attractive. 4. A middle name should definitely embody meaning. Otherwise, why have one at all? 6. Family or other personal significance trumps popularity concern. If you want to name your baby after grandmother Isabella, it doesn't matter that it's the No. 1 name. 7. If your kids' names have a theme, make it subtle. 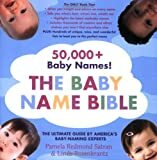 Giving all your children botanical middle names or names with uplifting meanings is preferable to Duggar-style devotion to one first initial. 8. Initials shouldn't spell anything negative. We figure you know enough not to use initials like A.S.S., but if possible, avoid initials like S.A.D. or B.O.O. too. 9. If you hate the obvious nickname, think twice about using the name. Do you want Edward to be called Ed? 10. Don't let anyone pressure you into or out of a name. It's the No. 1 reason for baby-name regret. 11. Each child's name should sound distinct. If you want all your children's names to start with C and all have two syllables, okay, but Christian, Clifford, and Cara are better than overlapping choices like Carter, Carson, and Carly. 12. The first name should not end with the same letter that starts the last name. The sounds run together and lead to confusion about where one name ends and the other begins: Is Silas Smith really Sila Smith or Silas Mith? 13. Ideally, first, middle, and last names will be unequal numbers of syllables. So 3-1-2 yes, 2-2-2 no. 14. Thou shalt not steal thy best friend's or thy cousin's favorite name. But this rule only stands if they announced their favorite name in fourth grade and are pregnant at the same time you are. If you are expecting a child in two weeks and they suddenly pop up with a list of names they like and so are forbidding you to use, no fair. 15. Don't name your baby after a pop star or a sitcom character, if for no other reason that it doesn't give your child enough to live up to. 16. Something about the name should indicate gender, if only for official papers like passports. So Carter Elizabeth Jones is preferable to Carter Emerson Jones. 17. Beware extreme ethnic combinations such as Sean Yuki unless you really are Irish and Japanese. 18. A name's image should encompass many possibilities. Names diverse enough in image to let your child grow up to be a banker or a filmmaker, according to her talents or choice, are preferable to those that scream "corporate lawyer" or "exotic dancer." 19. Don't pick a name that will eternally have to be pronounced and explained to everyone. You're signing up for a lifetime of name pain, not only for yourself but for your child. 20. Reach name consensus with your partner. While the final choice may not be at the top of the list for both you and your baby-having partner, you both have to be fully on board with the choice, even if it's to let him have total control over naming this child while you get to choose next time. 21. Choose a name that can grow with your child, from infanthood through childhood to adulthood. If you're only going to follow one rule, this should be it!